Happy #fridayguestinterview day everyone! So glad you could join us here on The Writing Piazza. Fridays are always so amazing for me because they mean I get to interview wonderful people like our guest today, Editor Jeri Walker! A majority of my interviews are with published authors but every once in a while I like to mix it up and do interviews with other people involved in the publishing industry. I think there’s a lot we can learn and I hope you have been finding these interviews both helpful and entertaining! Without further ado (for a quick and fun grammar lesson on the word “ado” go HERE), let’s get started. Welcome! If you could start by telling us a little about yourself? My name is Jeri Walker. I was born in the eccentric silver mining town of Wallace, Idaho. I now live in the Boise, Idaho area but have traveled extensively. I’ve been freelance editing on a part-time basis for two years, and I just recently took the plunge into full-time freelancing. I’ve been editing and writing for years and have taught college composition and high school English and creative writing in addition to participating in numerous graduate and undergraduate workshops in fiction, nonfiction, and poetry. I’ve been telling stories since before I could write. Can you tell us a little about what you do as a freelance editor? I offer a variety of editing and writing services. My motto is that of making every word count while offering affordable rates at incomparable quality. One area I don’t typically offer services in would be developmental editing where the editor acts as a coach through subsequent drafts. I prefer to offer manuscript critiques on projects that are complete and partially revised. In addition to critiquing, I also offer an economical reader report which addresses big picture issues. In addition, I can assist with query letters and synopses. As someone who views writing as an art form, I most enjoy copy and line editing. The writing should not get in the way of the story, and I excel at addressing syntax issues while remaining true to the author’s voice. Proofreading isn’t nearly as satisfying as re-structuring sentences, but I do that too! On occasion, I will do a critique and a follow-up copy edit on a blog post as well. As I’ve settled into an editing grove, I’ve started offering writing services such as book blurbs, taglines, pitches, author bios, and press releases. I’m in the process of starting a series of newsletters on everything an author should know about utilizing book clubs, including how to write a variety of discussion questions. Other than that, I can be hired for blog posts, newsletters, social media content, and research. I’m also pursuing ghostwriting opportunities. As of this July, I am now officially a member of the Booktrope editing team as well. Wow! Those sound like a lot of great services. I’m especially interested in the book blurbs. I always have the worst time writing those. And you’re newsletter sounds super helpful too. I’m sure a lot of my readers will be just as interested in all you have to offer as I am. You will have to keep us posted on that newsletter too! Can you tell us about how many published manuscripts have you worked on? So far, fourteen manuscripts that I’ve worked on as editor have been published. Counting the projects I am currently contracted for as well as past projects not yet published, the total is closer to twenty-five. That number goes up substantially if taking into account my time as submissions editor with The Idaho Review Boise State’s literary journal. I love to promote the work of my clients. There’s something about having a “book baby” that never grows old. That’s something I love to hear from an editor! Someone who understands that it’s not just a manuscript, it’s a book baby! Ok, well some of them aren’t book babies but book wannabes but the ones we really want to publish are our book babies. The editing work you’ve done is impressive. And you are certainly a versatile editor which I think could really come in handy. Granted, some people don’t view teaching experience in the same light as editing experience, but I’ve provided feedback on thousands of papers of varying lengths and genres at the high school and college level. As part of my training as a graduate teaching assistant in rhetoric and comp I’ve studied effective commenting styles in conjunction with rhetorically analyzing texts. All of which means I have been trained how to read between the lines and help a writer say what they really want to say. Effective feedback truly is an art form unto itself. I’m always curious about what motivates people. Maybe it’s because I’m always mindful of my characters’ motivations? So to assuage my insatiable curiosity tell us what made you decide to go into editing? My decision to start freelance editing came about unintentionally. A cross country move for my ex-husband’s new job meant I finally could finally afford the time to write my first novel. With the rising popularity of e-books, I went into the process guns blazing and started a blog as I worked on my book. Well the blog took off and I found I loved all it entailed. Writing a novel… not so much. I like to joke that I’m a much better editor than writer, but that’s just because I haven’t fully figured out what type of writer I want to be when I grow up. Based on the critical book reviews I used to post on a regular basis, authors started to approach me and inquire if I would consider giving them feedback on their works in progress. Things started to grow from there. Like many freelancers starting out, I worked for peanuts at first but quickly came up to speed and now charge reasonable professional fees which I re-visit on a regular basis. I’m always fascinated to hear about life events that were catalysts for writers. It’s my romantic side coming out. It often gets hidden behind the cynicism that builds up with each rejection letter. But then a wonderful soul such as yourself comes along and shares your story and suddenly I fall in love all over again with writing. So thank you for sharing your journey with us. I also wanted to ask, since I have some readers who are thinking about careers as editors, what are some things they should do to pursue such a career? Unless a person considering going into editing as a career has an English degree (preferably one emphasizing writing as opposed to literature) I would highly recommend obtaining an editing certificate from a reputable university. Unfortunately, there is no national standard. Another great way to get one’s foot in the editing door is to complete an editing internship. I also highly recommend joining a couple of professional editing organizations at the national and regional level. I pay dues to the Editorial Freelancer’s Association as well as the Northwest Independent Editors Guild. For good measure, I am also a member of the Pacific Northwest Writers Association, the Nonfiction Authors Association, and the Idaho Writers Guild. The resources and support offered by such groups is immeasurable. If possible, find a mentor. The advice of a seasoned professional can help immensely. I worked with a career coach for months to wrap my head around how to be an effective entrepreneur. Also, my accountant that I worked with before my divorce has proven priceless in making sure I have taken all the necessary steps to incorporate Word Bank Writing & Editing as a legitimate business. Phew! That was a lot of practical advice that would be easy to follow. Direction wise I mean, I’m sure it was a lot of time and effort to accomplish those things. I love advice that offers easy to follow directions. I think the publishing industry is hard enough as it is without not knowing what steps should be taken. So thank you for sharing those brilliant steps with us! Now I can’t forget my writer friends. I know we are all itching for advice from competent editors such as yourself. I think a lot can be learned from what not to do. With that in mind, what is one of the most common mistakes you see authors make time and time again? The number one mistake authors make is self-publishing and/or querying agents without getting enough feedback on their drafts. It pains me when I hear writers bemoan how evil critique groups are or how time-consuming. If a group doesn’t work, find a new one. Meet-up is a great site to begin that process, but professional organizations are a great starting point as well. I’ve found a handful of fabulous critique partners online as well. Feedback is a wonderful thing and the more one participates in the process, the better a writer will get at filtering out the less helpful advice. If three people note the same issue, the writer should consider revising. If a writers admonishes, “They just don’t get it!” Think again. Readers complete the communication transaction that is a book. If nobody is getting it, it’s time to revise! As for language issues, the list is long: unnecessary repetition, passive verbs, personal pronoun overuse, weak word choice, incorrect dialogue punctuation, telling rather than showing, over-reliance on adverbs, lack of sentence variety, too many exclamation points, run-on sentences, lack of commas, too many commas, etc. It always holds true that one must know the rules in order to effectively break the rules. that I always have on hand when I work on edits). It’s like you’ve read my work and are commenting on my soul! haha but seriously, I think those are all great things to keep in mind once you’ve finished your rough draft and start working your way through your MS again. And I loved what you said about feedback. I too think it’s so key! I did a couple posts on Critique Partners and on Beta Readers and I know I’ve had a lot of writers tell me they thought that having both was overkill. But I could not disagree with them more. I think putting out the most polished form of your MS that you possibly can is the bar we should be aiming for and having that feedback is crucial to even coming close to that bar. Say that we’ve had our critique partners AND our beta readers go over our MS and we made the changes we felt needed to be made. Should a writer then consider hiring an editor? As most of us are on a budget, it really helps if a writer knows their strengths. For example, I flounder in the early stages of draft development and have considered hiring a developmental editor when I write my second book. On the other hand, I can do a decent job copy editing and proofreading my own work. That being said, I would recommend a line edit for all manuscripts. It really is amazing how much another set of eyes can clean up a draft. If going the traditional route, there’s no point in hiring a proofreader since they will be attended to by the publishing company. No matter the path to publication, competition is fierce, so why put out an inferior product? All valid points. And since most beginning authors out there have never hired an editor before, what should a writer look for when considering an editor and what should they be wary of? The old saying that you get what you pay for is painfully true. I’ve seen so-called editors offer services at rock-bottom rates. I guess that’s fine if a person likes making a dollar an hour. Another red flag would be an editor who insists they can do a critique and copy edit at the same time. Be leery too of extremely fast turnaround times. Always ask for a sample and be sure to look at examples of published work the editor has worked on. Just recently, a new client pointed out how crisp my editing of Mandi Castle’s book Dear Stephanie was. I’ve also make sure to go over a detailed contract with a client before taking on a project. As time goes on, I post more and more examples of my work on my blog. By far, doing so has netted great results and I am grateful to my clients who have granted permission for more to post excerpts from their drafts. More great advice! If you don’t mind, I’d like to ask you for one final piece of it before I let you go. From an editor’s perspective, what advice would you give to writers who are writing and/or attempting to publish their work? Whether a writer intends to self-publish or seek traditional publication, they need to educate themselves. I’ve had too many people tell me about agents who ask for money to represent them. No legit literary agent would do that. Successful self-pubbing requires knowing a lot about how to run a business and that also entails hiring a team of professionals. We all vary in our capacities, so pick and choose wisely where your money goes. More than anything, write for yourself. Write from your heart and don’t censor your story or your message. Own your story or it will own you. Spectacular! Jeri, thank you so much for joining us here on The Writing Piazza. We truly appreciate you taking the time to do this interview with us. For those readers interested in finding out more about you or connecting with you. How can they go about doing that? Please join me every Monday at JeriWB.com for writing tips and lit chat or explore my books on Amazon. Sadly, this brings us to the end of another #fridayguestinterview. But fear not, we shall have another one next week. And if you can’t wait that long for your interview fix, you can check out all our other interviews HERE. Jeri and I would like to thank all you phenomenal folks who tuned in to read this interview. Helping others is what TWP is all about so we hope you found it helpful! I contracted Jeri to do a small project and was over the moon satisfied with her work. I also have read the books where Jeri has been engaged as the editor for the project and have really loved each one! I plan to use her again for my next project and will always recommend her. That said, this interview was still most enlightening! I know Jeri from a LinkedIn group (BHB) we both belong to. The more I learn about her, the more respect I have for her and her abilities. It was great to find out even more in this article. And I certainly agree with her that effective feedback truly is an art form unto itself. Donna, itsn’t it amazing how we learn so much about each other over the course of supporting each other’s blogs? I know I don’t make it over to your author blog as much as I do your travel blog, but I deeply admire both of your passions. Jeri – I feel I know a little more about you, having read your interview. Generally, you are the one conducting interviews! You have a wealth of knowledge with regards to writing and the process involved. You are also willing to freely share this knowledge. I receive much by reading your blog. I am in the process of writing a short book and will take your advice and apply it to my work. I agree that a writer should take note of those commenting on their draft – we write for others just as much as for ourselves. Phoenicia, I gotta admit it’s a nice change of pace to be on the other side of the interviewing process and be able to show a different side of myself outside of the usual weekly posts I do over at my blog which is become more and more centered on my business. In the future, I will start a real author blog, but first I need to write more for publication! Anne, thanks so much. I’m looking forward to possible collaborations between us in the future as well. Meeting with you via Skype definitely confirmed we’re on the same writing and editing page. Great interview! I know Jeri will be a success in her endeavors because she is very professional and as a writer herself, understands writers. That’s half the battle! Jan, that means a lot that you note my professionalism. It’s safe to say I love what I do, though I readily admit I am a better editor and writer at this point. I really must get my tendency to self-edit as I write under control, but it’s so hard to silence my editor voice as I write. Thanks for stopping by! I am so. So glad you found it entertaining and helpful. Both are goals for this site! Come back soon! A.K., like many who’ve been following my blog for awhile, you’ve watched me go through the transformation of being practically clueless in blog-land to actually bringing home enough bacon to pay my bills. It’s a great feeling and your support and inspiration as a friend has been immeasurable. I found this interview packed with all kinds of good stuff, but it’s not surprising with Jeri as the subject. I’ve worked on and off with Jeri for a couple of years. She edited an e-book of mine, traded critiques of works-in-progress, and is helping me whip my coming novel into shape. I can say that Jeri delivers an exceptionally fine “readers report”. I find myself continually going back to re-read what she observed about the draft that I sent to her. Right now, I’m waiting for her critique of my second draft. I absolutely agree that new novelists need to resist the temptation to rush their work off to potential publishers or to self-publish before it has really been worked over thoroughly the get the most out of the subject matter. I keep finding more and more ways to enrich the story, and a lot of it has come from Jeri’s observations. Larry, speak of the devil and he shall appear. I’m about to comment on the final 35 pages of your novel and write the overview letter tomorrow. Having seen the draft since it’s early stages when we were critique partners, I’ve really enjoyed how you’ve continually worked on and developed the draft to become truly unique. It’s almost there! Howdy Jeri! I for one am extremely grateful to be one of your clients. You’ve helped me grow as a writer and I look forward to each project. TB, we’ve collaborated on so many projects I think I’m losing track. That’s a very good thing tough. Your commitment to turning out great stories readers will love makes me want to do the same as well. Now that the editing gig is finding a great stride, I’m planning on returning to revising my novel. Jeri, solid points! My husband looked at one of my blog posts and he told me I need to stop repeating words. lol It was good for me to show him because I would have not caught it otherwise. I do want to find critique partners or a group. I have my husband look at it right now. Thanks for the awesome advice! Crystal, given how you live in Nashville I bet there are a ton of groups you could get involved with. Give Meet-Up a try. I recently joined the Nonfiction Authors Association via Meet-Up and have been truly impressed with my regional chapter. They focus on the business aspects of writing, but we are also starting a critque group as a sub-group. I know Jeri only over the internet through a BHB group and she is one of my favorite people to hear from and read. She always provides great examples and professional advice. She also loves to travel and get out there in the world so what’s not to respect with that. Tim, we often learn much more from hands-on examples so I aim to meet that goal as often as possible, plus I don’t mind sharing materials that will help other writers and editors. I figure it’s all about karma in the end, something I am sure you understand 😉 And someday I know you will compile all of your great travel posts into an excellent travel memoir. Didn’t appreciate the range of things you do as a freelance editor. So it was interested to hear and I appreciate all the solid advice. Ken, I’ve grown the services I offter as I gain more experience, but at heart I most enjoy line editing. I guess I love tinkering with syntax the most. Streamlining prose… yep, I could do that all day. Thank you, Kara, for featuring Jeri on your blog – very useful and fun read! I was so glad she agreed to do the interview with me. I love doing these interviews because they always have such helpful info in them and they are so fun too! Thanks for stopping by Dianna, I hope you’ll come back again! Diana, I think it’s safe to say we’re on the same length when it comes to upholding a certain level of professionalism. I’ll be looking forward to helping you with your next book as well. You ask so many great questions and care about your work so much. Great interview, Jeri and Kara! And quite a few endorsements you have in the comments, Jeri 🙂 It’s wonderful to know your hard work is paying off. Thanks for all the tips, and I’m looking forward to your newsletter. Thanks Marie Ann, I’m so glad you enjoyed the interview. I hope you’ll atop by again. I do these interviews every Friday and I always learn so much from them! Marie, my plan with the newsletters on how writers an utilize book clubs will eventually become a download giveaway for new subscribers. I think it will fulfill a niche I haven’t seen too many people tackle. Kara thanks for this interview with Jeri. Jeri you are one amazing person. And certainly I can hear your new passion here. You said, “If going the traditional route, there’s no point in hiring a proofreader since they will be attended to by the publishing company. ” Personally, and sadly, I didn’t find this to be the situation in my most recent book. Even though I felt like I gave them due diligence, it only became obvious during the editing process! Given the opportunity again, if I were to write another book, I’d stay on the self-publishing route or get a lawyer from the get go. Patricia, thanks for stopping by. I’m so glad you enjoyed the interview. I hope you’ll consider signing up for my newsletter where I offer legal tips for writers. I know how confusing the law can be so I wanted to use my legal training to help other authors. I hope you’ll find that useful too! Patricia, that’s disheartening to hear about the proofreading experience you had with your book. Sometimes it seems like nobody does their job anymore! Wonderful interview! Like some others here I know Jeri from a group of fellow bloggers so it’s really nice to learn more about her background and work. And as an author the valuable tips and advice are an added bonus. Marquita, I’ve learned so much about myself by reading posts on your resiliency blog. Even though I don’t share too many personal stories with the route my own site is now taking, just know posts like yours are so eye-opening with getting readers to look within. This was such an enjoyable and informative interview! There is so much I don’t know about writing, editing, and publishing a book, but it’s something I’d like to try someday. I’ll be contacting Jeri for help when that day comes. And for what it’s worth, I think being an English teacher is great preparation for being an editor! Meredith, teaching English definitely prepared me to be a better proofreader and copy editor, and I can thank all the college workshops I took in fiction, nonfiction, and poetry for helping me become great at manuscript critiques. Beyond that, the time I spent learning how to provide a variety of responses on freshman comp papers coupled with an analysis of my own commenting style, really opened my eyes to the art of giving effective feedback. Not all writers respond the same to feedback and often the text acts as the best guide for the type of feedback the editor needs to give. It’s safe to say this involves a lot of reading between the lines. Kara, this was a wonderful interview of a lady whom I’ve come to consider a friend. 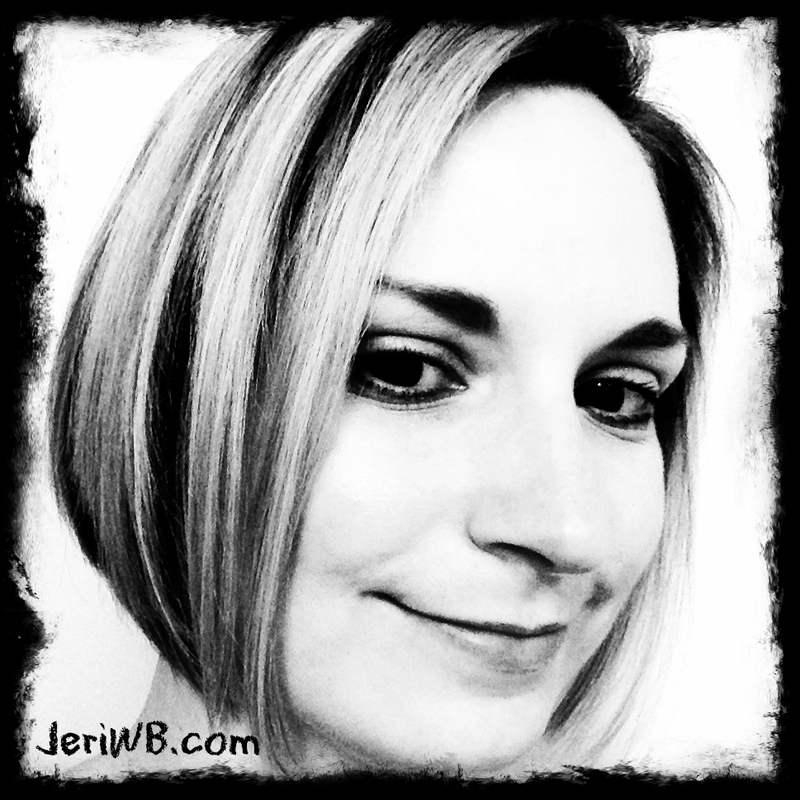 Jeri – I loved the behind the scenes look at all that you do. I had no idea that writing a book wasn’t simply putting pen to paper but so much more and that you basically are able to do it all. If I ever decide to write a book – and that is a big IF- I know who I will turn to for the critiquing and editing part. Lenie, thanks for stopping by. I hope you’ll come back again and again! And if you do write that book, you will always have people cheering you on here at The Writing Piazza. 🙂 You can do it! I’ve been fortunate to be asked to read a number of draft manuscripts for people. For a variety of reasons but each time I’ve found it fascinating to be able to read a book in a different way. Sense checking, story checking, grammar checking or just getting a feel for someone gives an entirely different perspective on it. I’ve enjoyed it enormously and admire those who can do it professionally. I write, have several half finished manuscripts on the computer and know I will be contacting Jeri when they get finished, or close to! Rosalind, I’m so glad you enjoyed the interview. And I’m thrilled to have been able to help connect you with Jeri, it’s part of the mission of this site to help writers. If there’s any other help you’re looking for please don’t hesitate to ask! Rosalind, are your manuscripts you’ve been working on fiction or nonfiction, or a mix? Your gardening posts are top-notch that much I know for sure. Jeri, it was great to learn more about your history and your process. I can’t imagine the detailed work it takes to be an editor. I can never believe it when someone tells me that they are planning to self-publish without an editor. No matter how much attention to detail we think we possess, a trained outside eye will always better shape our work. Congrats on the great interview. Erica, even as an editor I would be crazy not to seek an additional set of eyes for the short e-books I’ve published. As I mentioned above, it’s important too to know one’s strengths. I covet critiques on content more than copy editing since I do a decent job of that on my own work if I allow the pages to “cool” a bit before tackling that part of the process. What an informative interview! Thank you to you both. And reading it reminded me that my critique partner who is supposed to submit for our next meeting hasn’t done so yet, so I just sent off an email to my group about that, ha! I am also a big supporter of both critique groups and beta readers. In fact, can’t even imagine doing a book without them both! Laura, speak of the devil! I’m waiting on a manuscript from a critique group as well and need to fire off an e-mail reminder. This new group is a subset of the National Nonfiction Authors Association. They’ve just started regional chapters. You should check out what’s being offered in Seattle from them. I first got to know Jeri through LinkedIn, and I quickly became a huge blog fan of hers. She proofread my book, Fogged Up Fairy Tale, and I couldn’t have been more satisfied with the results. She found things my eyes played tricks on. The way Jeri approaches blog comments, critiquing and proofreading, she’s so respectful of everyone’s opinion. When it comes to her work, she’s professional and honest with a passion to make everything she works on shine. You can’t ask for more. This is wonderful, I may become your new BFF. Jeri, do your edit , “scripts”.? The interview was so detailed and informative. Thank you for describing your skill set. I love the way you weave stories interjecting a personal experience, not as an example, but as a comment on what you’re saying. Pamela, I edited a series of short plays for a client and used to teach a unit on ten-minute plays to creative writings students, so though not my normal milieu, it’s an area I would love to gain more experience in. This is a great interview. I didn’t know that you had 14 manuscripts completed. Pretty sure there will be a lot more coming soon. So neat to read about you on the other side of the interview. I liked the part of educating yourself, I know there are so many agents and publishers out there who want to rip a naive author, thanks for sharing this with us. –that last paragraph must be framed and shaded and hung in one’s writing room! !